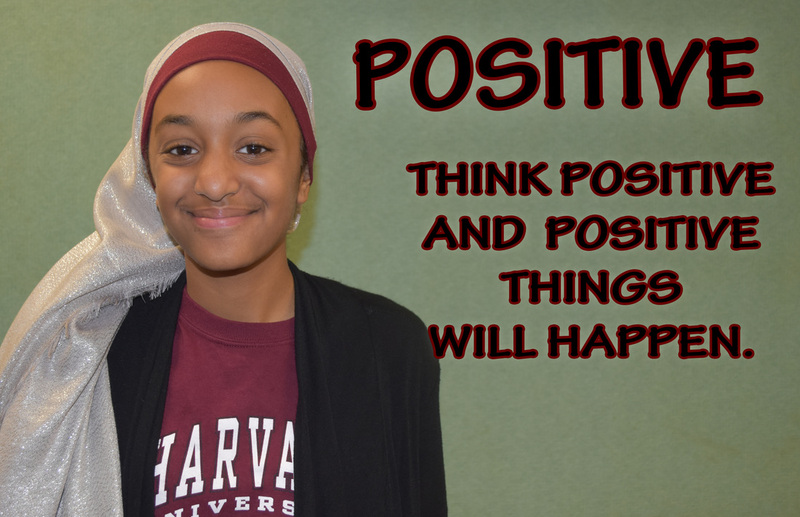 My first image of the year that I made at Photoshop shows you how the outline color around my text matches my shirt and the bonnet under my headscarf. That helps my text to pop. The font that I chose is texton pro because it looks laid back and I didn't want my font to be too wild. My contrast made my words pop because of the matching color i used around my words and how it went together with my clothes. Or how I used just a little glow around my ajective. I made sure that the size of my text filled the page so there were no big emtey spaces. The outline arond my text is a burgundy, the actual font is black. So the burgundy color is helping the contrast of the text. I gave my award to Ella because her font was clear and easy to read. Her quote matched her adjective. Her font reminded me of a typewriting font. So it made it "chill." My second photoshop project was about Islamophobia in the world, but mostly in the US. I made sure that the font matched the feeling of the text. My head is down with my text around me because I don't like what is being said about Muslims so I cover my ears with my hands. Future City: Floating Car Ad "Doodle for Google"
I made this ad because I wanted to make an ad instead of do the Doodle for Google project. 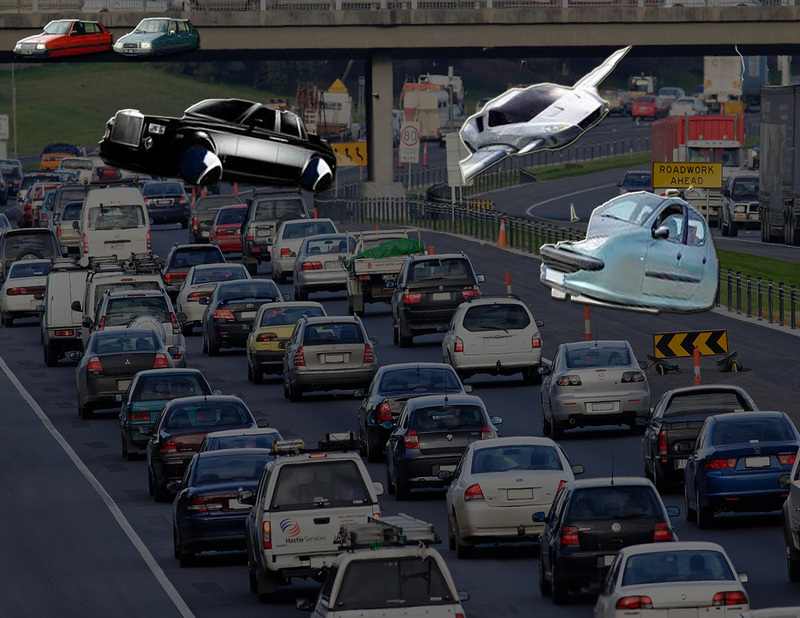 I made the background dark and the cars in the sky bright because I wanted to make a point that the floating car can get you out of traffic. This project was very simple. I had to creat my project on the easel website, then the image was carved out on the wood carving machine. The most difficult part of the project was preparing the machine to get ready to carve. The most enjoyable part of the project was playing around with the diferent affects that would change the look of the image. This project was very enjoyable. Media arts class is coming to an end, so this is a reflection of my time in the class. My favorite project was the second Photoshop project we did in class. 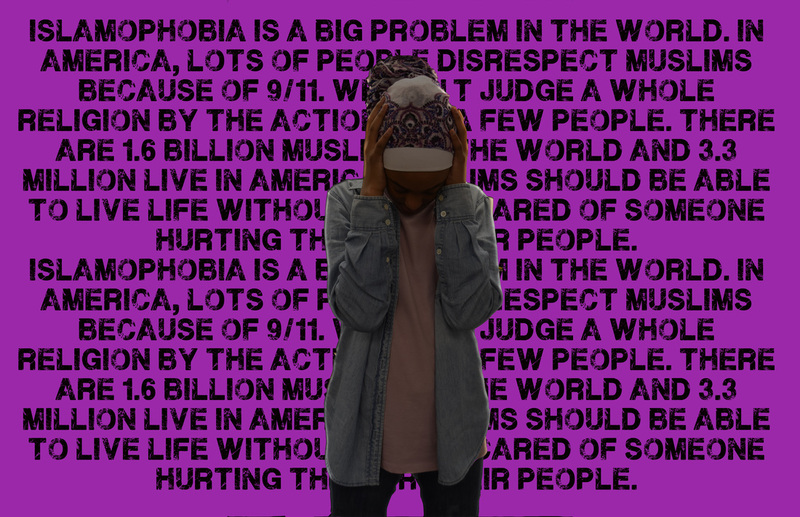 The project was assigned to be about issues in the world that are important to us and I chose Islamophobia. My favorite part about this project was expressing to people this issue of Islamophobia. Some skills that I've learned during the time that I've been in this class is how to work the wood carving machine, and how to take a screenshot. I'm looking forward to doing more projects next year that expess my feelings about the world through media. I'm also loking forward to new projects that will expose me to different cultures and opinions. 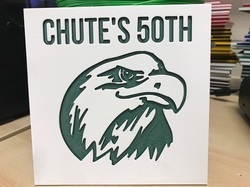 I enjoyed carving out a logo for Chute's 50th anniversary. It was interesting to see how the wood carver carves. I enjoyed my time in media arts class. I hope that I have it again next year.